More than two-thirds of healthcare decision makers consider analytics among their top three priorities. The BI and analytics market is forecast to grow to $20 billion by 2019. The healthcare analytics global market is estimated to be worth $33.5 billion by 2022. The BI and analytics software market is expected to grow at a 12 percent CAGR through 2020. In 2013, HIMSS Analytics found 46.2 percent of healthcare organizations were utilizing some form of clinical and BI solution in place, a number which increased to 52.1 percent in 2015. Fewer than half of healthcare organizations utilize a clinical and BI tool for analytics. Companies using analytics are five times more likely to make faster decisions. An estimated 90 percent of self-service BI projects fail due to inconsistencies. The effective use of big data in healthcare could save the industry $300 million per year. Algorithms have been created to analyze and predict epidemics with 70-90 percent accuracy. Approximately 73 percent of organizations have already invested or plan to invest in big data. Big data spending is expected to reach $114 billion in 2018. The global big data market is projected to reach $122 billion in revenue by 2025. 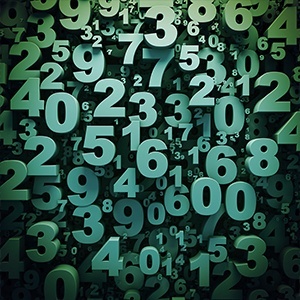 Most companies estimate they're analyzing only 12 percent of the data they have. Only 27 percent of executives describe their big data projects as successful. IT professionals consider data security and risk management as the biggest challenges when working with big data. An estimated 89 percent of business leaders believe big data will revolutionize business operations the same way the Internet did. Customer analytics (48 percent), operational analytics (21 percent) and fraud and compliance (21 percent) are the top three use cases for big data. Syntrix Consulting can help make sure your hospital is utilizing big data, predictive analytics, dashboards and more to its fullest potential. Contact us today for a consultation!